Hi everyone!! Tomorrow will be the 4th week of Pretty Things, I cannot wait! otherwise I would never stick with anything. and I have more energy. Did I mention I lost 3 pounds in 7 days? I know right? And without exercising. Getting out was hard. But eating clean was not, that I have control over. 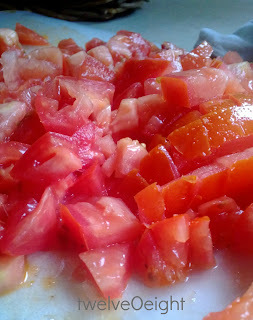 As I experiment with changing my diet, of course I want to lose weight. But I want my energy back, I want to feel good again, you remember how that felt? my Fibromyalgia decided to flare again. but be a healthy, fit mom. I want to feel good again, and I am beginning to see the light at the end of the tunnel. really excited to take control and say no to a few things that are bad for me. And yes to lots of fresh, clean, whole foods that were created for me to eat. filling my refrigerator with the rainbow. Will I ever have chocolate again, of course. Will I consume it and other high-sugar foods in the amounts I have the past few years? Not if I want to keep feeling this good. So that’s my admission, my name is Tanya, and I am addicted to sugar. But I don’t have to feed the addiction, I can make better choices, one day at a time. Did I mention I lost three pounds this week? Sorry I am just excited!! So this is the version I came up with. While I have dramatically reduced my grains recently, I will occasionally treat myself to a few gluten free corn chips to dip in this, and oh how I could eat a whole dish of it. Cucumber slices are a great alternative to chips too. Here is how I make My Favorite Bruschetta. Healthy fats are good for us (more on that later), and actually aid in the digestion and weight loss/weight control process. That’s good news!! Preheat your oven to 400* and spread the mixture in an 8″ x 8″ baking dish and bake for about 10-15 minutes. Once the edges are bubbling and it smells amazing. I like to serve with Juanita’s Gluten Free Corn Chips, or you can serve on any cracker or baguette if you are not avoiding gluten. Prepare for it to be devoured and have the recipe handy, people will love this. Your house will smell like the Food Network just came thru and whipped a little something up for you and your family. As always thank you so much for sharing your ideas, feedback and kind words with me each week. There would be no twelveOeight if it weren’t for YOU! Congratulations! I also have fibromyalgia and after the new year started eating clean and working out everyday. No flare ups! It feels great. Good luck!!! Congratulations on your weight loss, Tanya! I have been on sugar overload for weeks, and am feeling pretty yucky because of it. Time to slow down and reverse that runaway train! 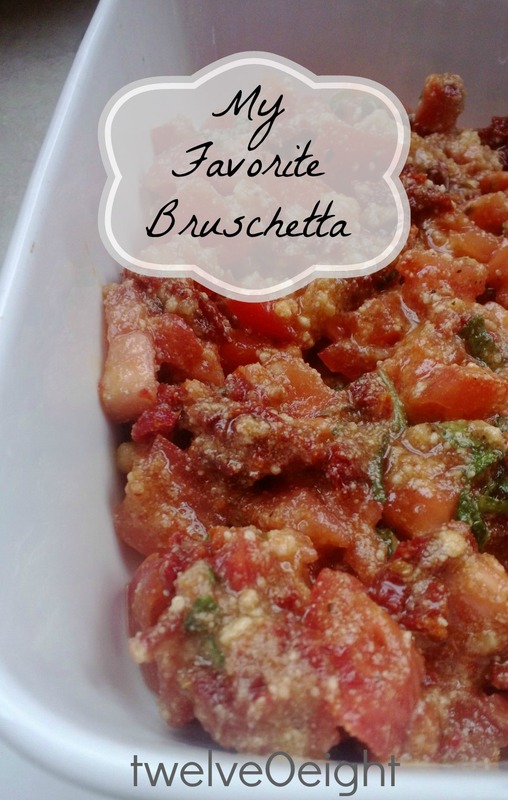 Your Bruschetta recipe sounds delicious! same niche as yours and my visitors would certainly benefit from a lot of the information you present here.